Tired of losing your experience enchantment table and having a mess of enchantment? Here comes the solution! 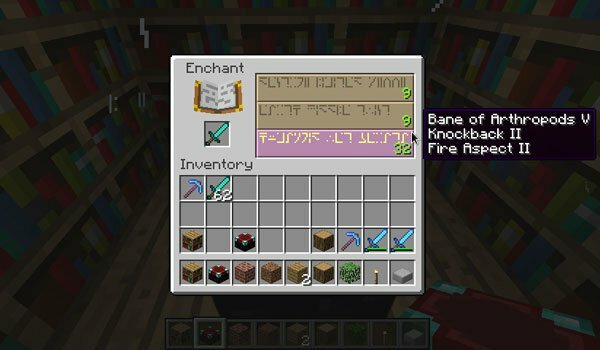 We introduce Enchant View Mod 1.7.2 and 1.7.10 a really simple mod, because all it does is translate the galactic international language, used in incantations, to English, so we know we are about to enchantment. This will save a lot of time and experience, as only will enchant weapons, tools and armor when they are useful to us. How to install Enchant View Mod for Minecraft 1.7.2 and 1.7.10? Paste “ThebombzenAPI” downloaded file into .minecraft / mods folder. Knowing all the incantations in Minecraft! Administracja wykryje na serwerach :F ? Does the server have to have the mod installed too? no work for me how do u install it?